First, I would like to thank everyone that attended our Holiday Banquet. We had a great turnout, great entertainment and a great time! It was certainly an evening to remember! Special shout-out to everyone that helped out to make it memorable!As we wrap up 2018, I hope that everyone has a very happy and magical holiday season! We will not be meeting in December, but we will be lighting up the New Year with our annual Close-Up contest! We still need at least three more performers to participate in the contest. Your act should be seven to eight minutes long with the routines of your choice. 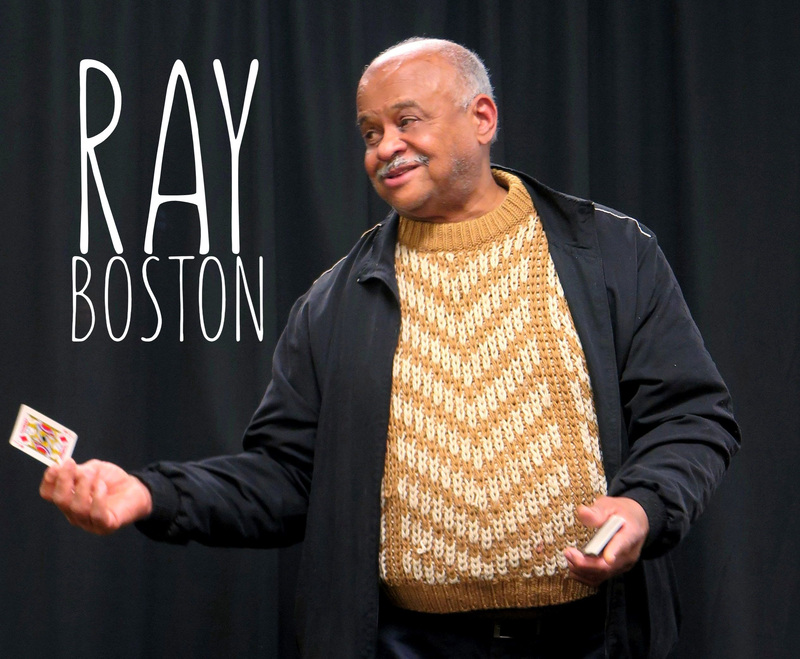 In February, we will learn effects from members of our group during our “Teach-a-trick”night. This meeting is open to all members and guests at no charge. Tricks may be any form of magic. Maybe someone from the Close-up contest will show us some of their secret moves, or if you want to try out a routine that night, please let me know. Call me to sign up to be a “Teacher”. I am still working on dates and lectures for March and May. As soon as plans are finalized, we will let you know. With our April auction, you can empty out your closets and clean house or fill the closet with more magic bargains! I am now taking lists of sellers. The first seller to respond to me will be seller #1, second to respond will be seller #2, seller #3, etc. In May, we will hold our elections. We need members to step up and help the club be the best it can be! This is your club. By being involved in the running of the club, you can make a difference! Ring #71 held its annual banquet on Saturday, November 17,, 2018 at the North College Hill Senior Center. A crowd of almost sixty people enjoyed socializing, great food, a fun raffle, and two excellent magic shows. Treasurer Mark Wiechman covered the sign-in desk and welcomed people to the event. After welcoming remarks, President Pat Hartzel passed the microphone to Ron Lawson, who served as Master of Ceremonies for the evening. After giving thanks for the fellowship, attendees enjoyed a delicious meal of beef, chicken, beans, salad, and desert, presented by Jack’s Catering. Following dinner, the duo of “Jason and Lucas, the Greats” opened the evening with a high energy magic show. 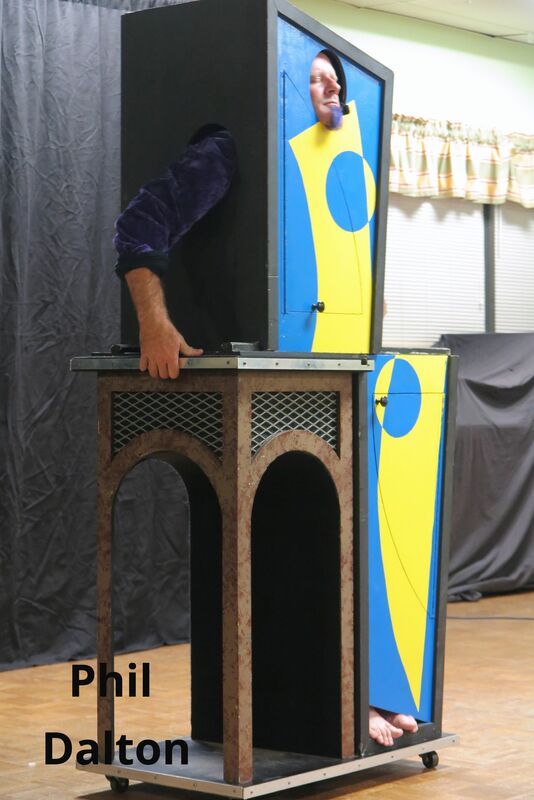 Their first illusion involved Lucas (Jason’s son) entering into a Kovari Box, upon which Jason thrust several steel blades and a large tube through the box. Timed to quick paced music, Jason spun the box around to so all audience members could see through the tube with the effect that Lucas had vanished. Once the blades and tube were withdrawn, the door opened and Jason appeared unharmed. Jason proceeded with several additional effects, including silk-to-egg, balloon sword swallowing, needles and thread from mouth (assisted by Helen Fehn), and Jason’s signature “Rambo Ring Vanish Routine” with gumball machine and assistant Sarah. 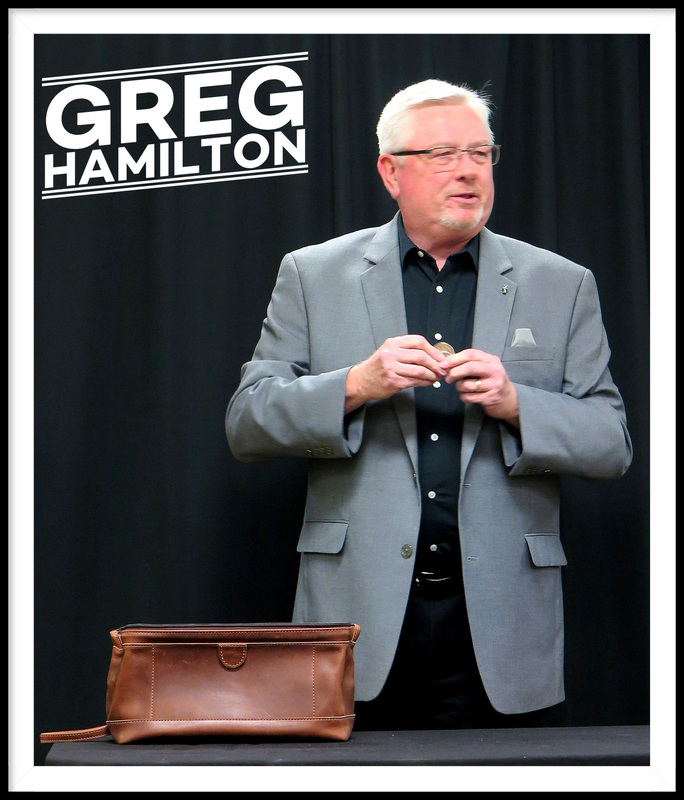 During intermission, Chuck Arkin conducted a magic raffle of items donated by himself, Patrick Hartzel, and Helen Fehn. Over 25 items were given out to successful winners, with “runner” assistance from Mark Wiechman, Lucas, and Chuck Meyer. 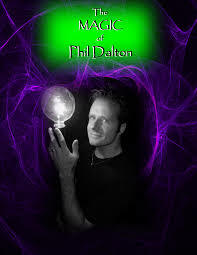 The second show featured “The Magic of Phil Dalton”. 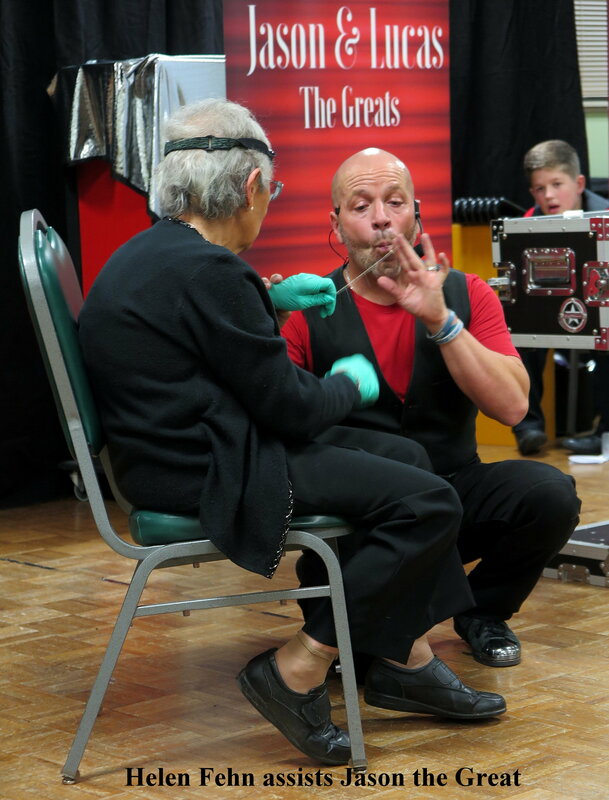 With his entire family of performers, Phil delivered a quick-paced magic show to an appreciative audience. Phil opened with his “Beside Myself” (Modern Art) illusion, and continued with a cut and restored rope routine. Phil and his wife presented a Handsaw Illusion, demonstrated by a visible sawing through neck with no pain and good humor. A nice “Reflection Levitation” body suspension featured Phil and one of his sons as a mad scientist. Later, Phil had volunteer Clark assist with tying up Phil’s wife with a rope and had a “costume change” with the Gypsy Mystery Rope routine. The finale used “The Pyramid of Mystery” in which several items were magically transformed, leading to a very spectacular surprise ending! After the show, attendees continued to visit and enjoy the warmth and friendships of the evening. Many thanks to all our volunteers. Our 2018 IBM Ring #71 Holiday Banquet will be on Saturday, November 17th at the North College Hill Senior Center. We will have entertainment by Master Illusionist Phil Dalton and Jason the Great! Reservations must be made by Friday, November 2nd. so we may give a final count to the caterers. All dinner reservations MUST be pre-paid, no walk-ins permitted. Price will be $25 per person for Magi and their adult guests for the banquet and show, and $20 for children under 12 for the banquet and show. Pre-paid show only tickets for all ages are $15 and $20 at the door. Doors will open at 6 PM, with dinner being served at 6:30 pm. Doors will re-open for the show only ticket holders at 7:15 pm, with the entertainment beginning at 7:30 pm. Come on out and have some fun! Payments can be mailed to Pat Hartzel, 1617 Marilyn Lane, Cincinnati, OH 45231 or Mark Wiechman, 6791 Marvin Ave. Cincinnati, OH 45224. The officers and board members met on July 28th to plan out the upcoming year. I would like to thank all the members that attended! A lot of great ideas were introduced to be considered. We are all working together to create another great fun-filled line up for the upcoming 2018-2019 year! The final details on most activities are still being arranged, but you can look forward to four lectures, the annual holiday banquet, a close up contest, auction, a picnic with children invited and one event to be decided. If you have not yet done so, please open the PDF link below to fill out and mail in your dues for the new year. For those of you who may not know Tom, here are a few highlights from his (almost) 50 years in magic. Tom has been a magician for nearly 50 years. 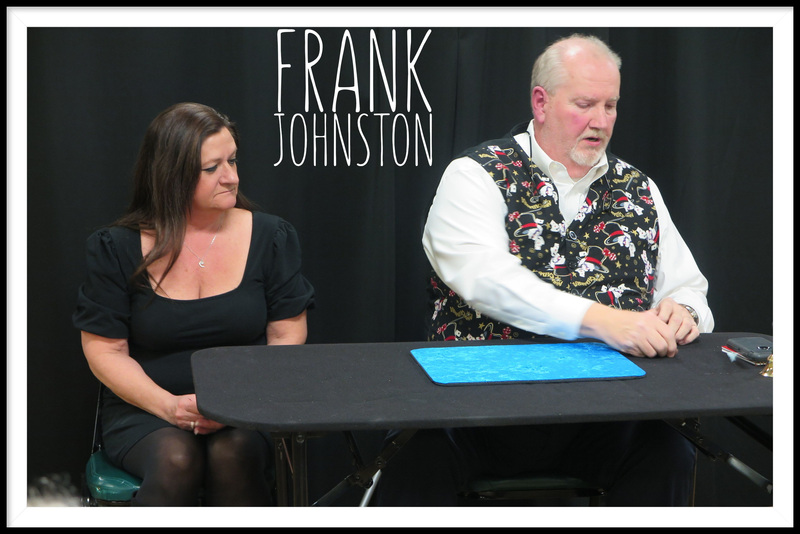 He has performed a number of times at the famous Hollywood Magic Castle, as well as taught magic at Akron University, Polk Community College and Maplewood Joint Vocational School. He has written numerous articles for magic magazines and even has his own monthly column in “The Linking Ring”. 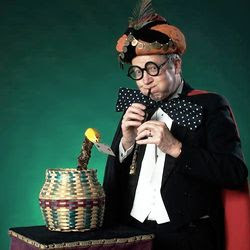 Tom also lectures all over the United States and Canada to the magic fraternity. Cincinnati and Northern Kentucky area magicians and their family and friends are cordially invited to the Reed Sisters magic show at the Elks Lodge (3621 Glenmore), at 5:30 PM Tuesday, June 19th. The show is free for children. Adult donations accepted but are not required. Parking in rear of building. Show is on 3rd floor use elevator in back of building. The date and time on the poster is not the time or date of show.